Who is an educator that has had a tremendous impact on you in your career that you met through social media or have dug into their stuff from afar? Why did they have an impact? “ This book is a must-read for all educators. It explores how inclusive education can increase the learning and life chances of ALL students. After reading the book and looking further into some of Shelley’s work online, one thing that becomes quickly apparent is her strong experience base and her true passion for children and education. She is a master storyteller who appears to leave much of her heart and soul in all that she does. 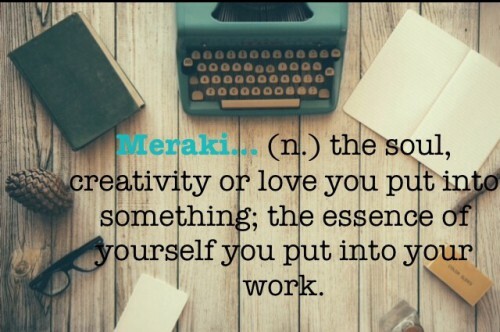 She has most certainly found her meraki, and through her work, shares her voice to inspire that in others. In the book, Shelley Moore suggests a definition of inclusion in which there is no “other”. Instead, she states, ‘ We are diverse, all of us. We all have strengths, we all have stretches and we all need to get better at something. The difference in teaching to diversity, however, is that we don’t start with our deficits, we start with our strengths’. Shelley’s stories stay with you. Her Tweets and blog posts often inspire and ring true. I can’t tell you how many times I have thought about the “sweeper van”, or the boy Under the Table (her Langley TEDTalks)and considered the importance of finding the “dictionary” or common ground that we need so that the world of our students and ourselves can come together. If you haven’t seen her video, Transforming Inclusive Education, check it out as her bowling analogy along with her insight into the importance of “changing our aim” is extremely powerful. Just this past week Shelley Tweeted out a powerful article from the New York Times, entitled You are Special! Now Stop Being Different that is so related to her own message and really makes you stop and think about the experiences of students. Shelley’s work in the area of inclusive education and messages around presuming competence in people, focusing on a strengths-based model of education, and believing that all people can learn are such important ones and so parallel my own beliefs as an educator. On top of that, her sincerity and the authentic, thoughtful and genuine way she shares her thinking and learning make her a strong, impactful and important voice in education today!